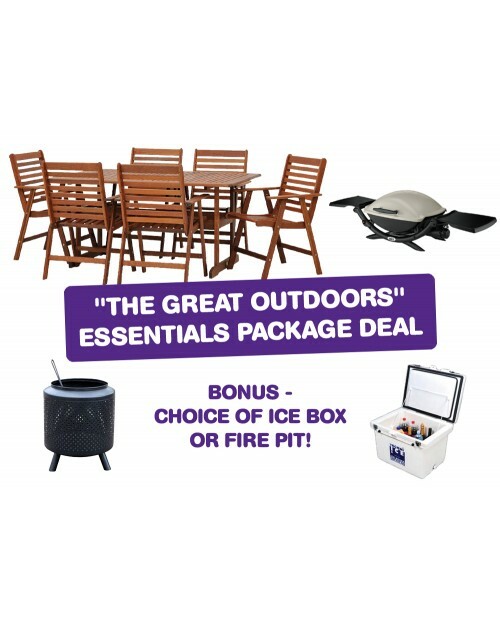 Entertain alfresco in style, with these essential outdoor items all for one package price! PLUS! Your choice of Fire Pit or Ice Box!